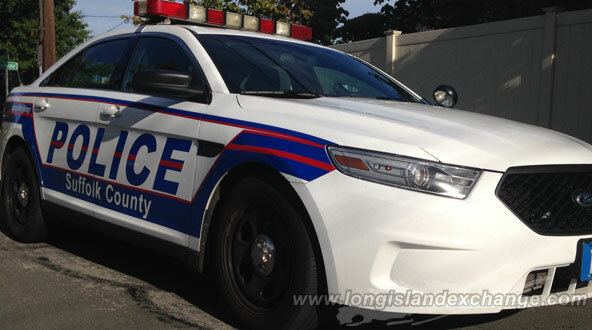 (Long Island, NY) Suffolk County Police Third Squad detectives are investigating a motor vehicle crash that critically injured a pedestrian in East Islip on Tuesday, September 22. James Burke, 19, was crossing Montauk Highway at Carleton Avenue when he was struck by a 2013 Volkswagen that was traveling westbound at approximately 9:40 p.m.
Suffolk County Police are investigating a motor vehicle crash that critically injured a pedestrian in East Islip on Tuesday, September 22. Photo Credit: Chris Boyle. Burke, of East Islip, was transported to Southside Hospital in Bay Shore where he is listed in critical condition. The driver of the vehicle, Shermane Coonerty, 67, of Babylon, remained at the scene. She was not injured. The vehicle was impounded for a safety check and the investigation is continuing. Detectives are asking anyone with information about the crash to contact the Third Squad at 631-854-8352.